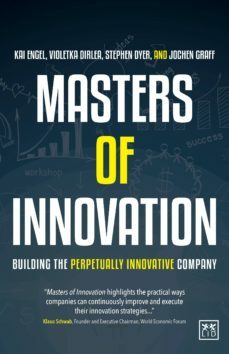 Masters of Innovation is the manual for creating a sustainable innovative organization, which is essential in fastmoving and competitive markets. The past 15 years have brought a fl ood of startling stories about “eureka!” moments from charismatic leaders. These stories have little to teach business leaders when it comes to their own innovation capability. But Masters of Innovation clearly and concisely explains how managers can make innovation more than just a one-off “breakthrough moment.” The authors tell the real experiences of the world’s best innovators. These are not just the hot “tech” companies of the moment, but also organizations growing in sectors such as automotive, rail travel, and household appliances, where slower growth might be expected. Many of these organizations have been in business for generations, and still they grow. Being innovative is a repeatable process that can be studied and learned—one that will sustain a company’s profi table growth for decades. Masters of Innovation provides the key to unlocking this potential and creating a perpetually innovative organization.